It's been a while since I have seen Brit Marling on the carpet but she returned for the premiere of her Netflix show 'The OA' Part II at the LACMA Theater in LA this evening(March 19th). 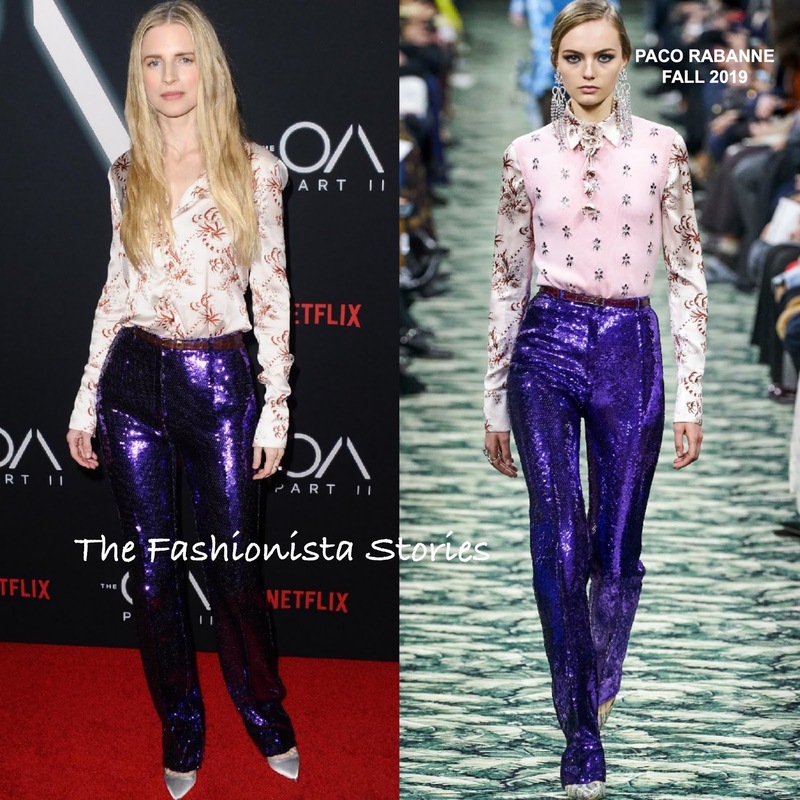 Rocking a masculine inspired look, she wore a PACO RABANNE FALL 2019 satin printed button down shirt and purple sequin trousers, which was belted at the waist. On the runway, the shirt was layered with a pink sleeveless sweater. However I don't think Brit could have pulled it off because the model nailed it. The hair is lifeless and the pants could have been hemmed an inch or two but I am still on board with this chic ensemble. The female celebs are really nailing masculine inspired looks on the carpet lately and I am here for it. On the beauty end, she kept things simple with minimal make-up and center part tresses which topped off her look along with silver satin pumps. Did Brit sell you on this look?